chess24 predicted the Candidates… almost! At the start of the Candidates Tournament we held a competition to see who could predict the top four places after all 14 rounds were over. At stake were two chess24 premium memberships along with blitz games against some of our best grandmasters. We received no less than 128 entries, so someone must have got it right? Well, let’s just say it was an incredibly unpredictable event! Read on to find out who won and for a quick look back at the tournament as a whole. You can see, for instance, that Vladimir Kramnik was by far the most popular choice for first place, while Peter Svidler was highly-fancied to take fourth. 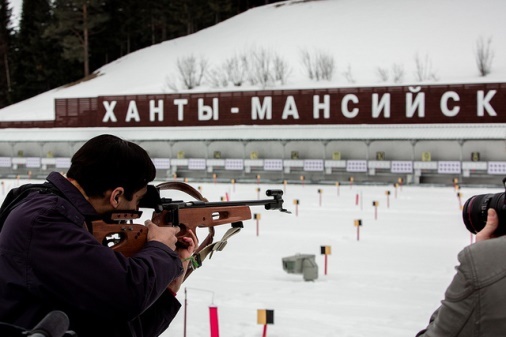 If you’re wondering whether we missed Shakhriyar Mamedyarov off the table by accident then the answer is no! 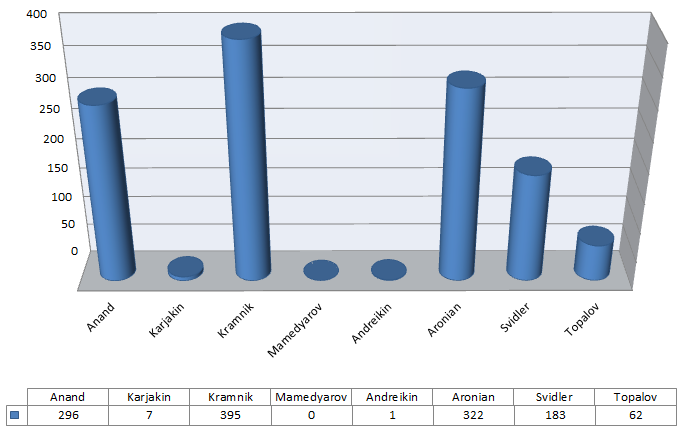 The Azeri star, who finished fourth, didn’t get a single mention, even though many votes were cast after Round 1, before he’d had a chance to lose two of his first three games... Dmitry Andreikin is another absentee, though he did receive a grand total of one mention (to finish 4th). As you can see, Anand had good support (it helped, of course, that he won his first game against Aronian before predictions were submitted), but Aronian and especially Kramnik were expected to finish above him. No-one foresaw the success of Karjakin or even the mid-table respectability of Mamedyarov and Andreikin. And the old guard of Aronian, Svidler and Topalov finishing in the bottom three places defied all pre-tournament expectations. Best game: Anand 1:0 Aronian – Anand failed to win a game in his World Championship match against Magnus Carlsen, so opening this tournament with a win was an immediate improvement! 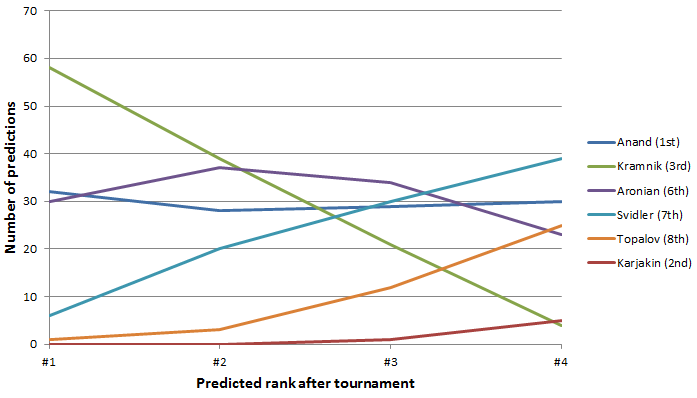 Using ruthless technique to beat a pre-tournament favourite and a problem opponent for Vishy in the past meant things could hardly get better. It set the tone for the whole tournament. Worst game: Anand 1/2 – 1/2 Andreikin – Slim pickings here, but it's hard to avoid the game in which Vishy took a draw in a won position at the very end. As he said himself, if he’d found the win at the board this could instead have been his best game! Summary: Anand was a revelation and dominated the tournament from start to finish. As it was years since he’d won as strong a tournament as this one, chess24 members definitely have nothing to feel ashamed about in predicting he’d finish only third. Worst game: Karjakin 0-1 Aronian – It’s noteworthy that both games Karjakin lost involved brilliant play by his opponents. Here he was gradually outplayed by Aronian in an innocuous-looking middlegame, leaving Sergey on -2 and seemingly out of contention. Summary: Karjakin was born in the same year as Magnus Carlsen, is obviously extremely talented and has the support of a fine team that for this event included Vishy Anand’s long-term second Rustam Kasimdzhanov. Although yet to become a huge fan favourite it's perhaps surprising that he wasn’t predicted to do better. Having said that... when Sergey was on -2 after 7 rounds no-one would have given him a cat in hell's chance to win the event. His 3 wins and no losses in the second half seemed to come from nowhere - but if he'd won his crunch game against Anand who knows what might have happened! Best game: Kramnik 1-0 Karjakin – Vintage Kramnik! A fine novelty, dominant positional play and sparkling tactics. At this point it seemed a Kramnik-Carlsen match might be on. Worst game: Karjakin 1-0 Kramnik – Kramnik could have put together a fine worst games collection at the Candidates, but finding yourself essentially lost on move 7 against one of the most harmless openings in chess takes some beating. Summary: It was understandable that Kramnik was the chess24 pre-tournament favourite – his performance in London 2013, his ability to prepare himself for the big events and the absence of Magnus Carlsen all spoke in his favour. Instead the wheels came off against Veselin Topalov and Kramnik went on to make the crude blunders that he normally reserves for lesser events. Perhaps the ultimate surprise was that he still finished as high as 3rd! Best game: Mamedyarov 1-0 Aronian – Sweet revenge for Mamedyarov and one of the most unconventional and enjoyable games of the event. Azeri fans did have to suffer one heart-stopping moment, though, when the engine evaluation in their hero's favour dropped from +34 to +0.5. Luckily it was a false alarm. Worst game: Aronian 1-0 Mamedyarov – Shakh missed a simple trick and let his queen get trapped on move 13, and his press conference explanation that he saw the problem before he put the piece down on the board but still didn’t choose another square didn’t inspire confidence! Summary: Mamedyarov was certainly a dark horse, but the absence of a single vote from chess24 members was going a bit far! In the end his journey from rank outsider after the first few rounds to an outside contender for first place at the end was hugely enjoyable, but his unconvincing opening repertoire and emotional swings suggest chess24 users were probably right to doubt his overall success. Best game: Andreikin 1-0 Topalov – Topalov, fresh from beating his arch-enemy Kramnik, used some sharp preparation, sacrificed a pawn and seemed ready to press on for a win. Instead Andreikin's king quietly wandered away from the danger zone and Topalov was left with a resignable position. Worst game: Aronian 1/2 -1/2 Andreikin – Andreikin self-combusted and lost with Black against Svidler and Mamedyarov, but perhaps this game was the one where his opponent had to do least to gain a totally winning advantage (which he blew). 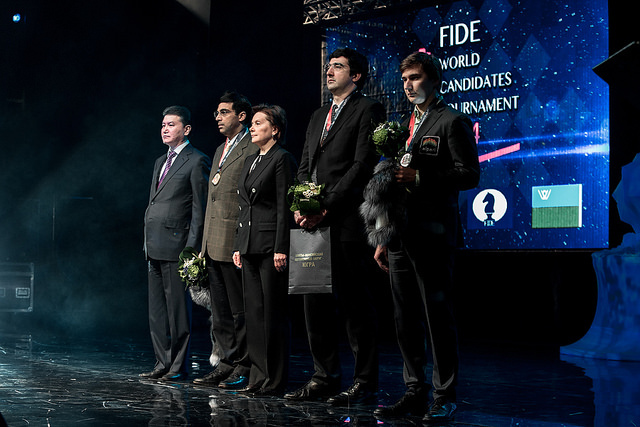 Summary: In hindsight this year’s Candidates Tournament was all about nerves, so Andreikin, as one of the most level-headed players in chess, might have been a good outside bet. However, although he managed to recover from a slow start his somewhat dubious opening repertoire still seems to be an Achilles’ heel. You can’t hope to give these guys a head start and still survive on a regular basis! Best game: Karjakin 0-1 Aronian – This round 7 game saw Aronian join Anand in the lead after outplaying one of the world’s best players with the black pieces. 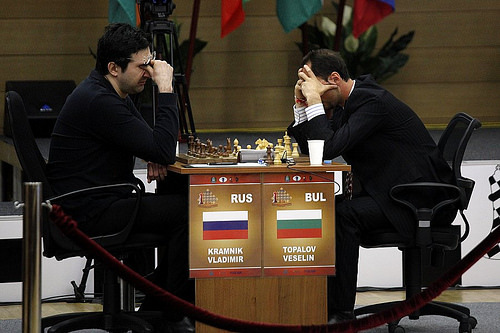 Rustam Kasimdzhanov wasn’t alone in considering 47…Qc4!! the move of the tournament. Worst game: Andreikin 1-0 Aronian – This game has strong competition from the game Aronian lost to Karjakin in the final round, but it was the one that drove the final nail in the coffin of his World Championship hopes, and a less-than-brilliant example of how to play against the Trompowsky. Summary: World no. 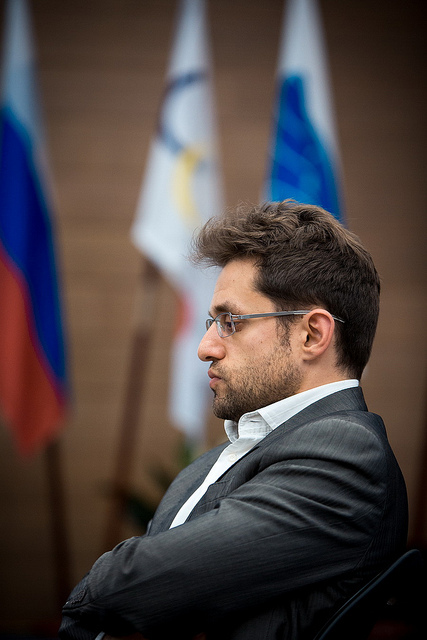 2 Aronian was the biggest disappointment in Khanty-Mansiysk, especially as he seemed to come into the tournament in fine form. Despite his failure to handle the pressure of playing for the World Championship in the past it was still hard to predict he’d finish outside the Top 4, never mind in 6th, so chess24 members can be forgiven this one! Best game: Svidler 1/2-1/2 Kramnik – The obvious choice here is Svidler’s fine win over Andreikin, but Peter himself thought this game was better – and who are we to argue! It was certainly a candidate for game of the tournament, with fine pressing from Svidler, thrilling time trouble and in the end some truly miraculous defence from Kramnik. If Svidler had won he'd have been flying on +2 after three rounds! Worst game: Mamedyarov 1-0 Svidler – Although Peter did supply some alternatives it’s hard to compete with 24…h6?? in this game, giving up a pawn for absolutely nothing – unless you count your opponent’s attack. Svidler himself mentioned he’d gone “brain-dead” for three moves. Summary: The 7-time Russian Champion’s obvious huge desire to win, impressive opening preparation and abundance of decisive games justified chess24 members' clear belief that he was among the favourites, but alas... 3 wins and 4 losses wasn’t what the doctor ordered! Best game: Topalov 1-0 Kramnik – If Veselin wanted to win one game in Khanty-Mansiysk it was this one, and it couldn’t have gone better! An opening surprise, Kramnik reacts badly and Topalov doesn’t give him a hint of a chance to escape – a dagger through the heart of his old enemy’s tournament chances. Worst game: Svidler 1-0 Topalov – After starting with four draws this was the first sign that things weren’t quite right with Topalov in Khanty-Mansiysk. He unleashed a novelty that had his opponent think for 38 minutes, found himself a pawn up with a clear edge but somehow still contrived to lose. It was the story of his event. Summary: Like Svidler, Topalov had immense desire and stellar preparation, but it seems he paid the price for playing very little chess in the last few years. He was just too rusty to convert his chances. As not a single person mentioned fourth-placed Mamedyarov, and second place Karjakin also wasn't riding high in the popularity stakes, it's clear that no-one got their predictions 100% right! We promised winners, though, so we decided to draw the victors at random from among all those who picked Vishy Anand to finish first plus the five people who listed three of the eventual Top 4 (none of whom also thought Vishy would be first). Congratulations from the chess24 team! 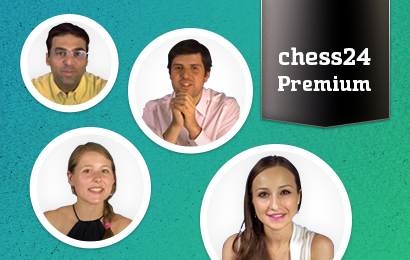 We’ll be in touch about premium membership and to arrange some blitz games against GMs Jan Gustafsson and Paco Vallejo! Thank you to everyone who took part and we hope you enjoyed following the Candidates on chess24!